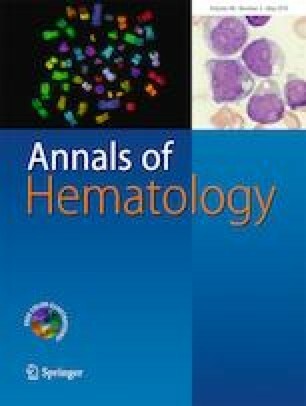 It is controversial whether blast percentage based on all nucleated cells (ANC) or non-erythroid cells (NEC) more accurately reflects the prognosis of patients with myelodysplastic syndromes (MDS). We considered that the impact of blast percentage on survival should be similar in MDS with erythroid hyperplasia (MDS-E) and MDS with no erythroid hyperplasia (MDS-NE), and from this perspective, we retrospectively analyzed 322 patients, including 44 with MDS-E and 278 with MDS-NE. Overall survival was similar between the MDS-E and MDS-NE groups (P = 0.94). In a subgroup of patients with bone marrow (BM) blasts of < 5%, no difference in survival was found between MDS-E and MDS-NE by either calculation method. However, in patients with a blast percentage between 5 and 10%, a significant difference in survival was observed only when the blast percentage in MDS-E was calculated from ANC (P < 0.001 by ANC and P = 0.66 by NEC). A similar result was observed when we analyzed the remaining patients with higher blasts together with those with blasts between 5 and 10%. These results suggest that the calculation of the BM blast percentage based on NEC in MDS-E provides a blast percentage value with a clinical impact consistent with that in MDS-NE. The online version of this article ( https://doi.org/10.1007/s00277-018-3560-x) contains supplementary material, which is available to authorized users. KM performed the research, collected, and analyzed the data. YK performed the research and analyzed the data. All the authors wrote the paper and approved the final version. For this retrospective study, formal informed consent is not required. This study was approved by the ethics committee of Jichi Medical University.